What if the SSA denies your disability benefits application? What do you do if you have been denied disability benefits? You filled out your application for Social Security disability benefits and, after reviewing your medical records, the Social Security Administration denied your application, determining that you are not disabled and not entitled to benefits. After being denied, you have several options. Most commonly, applicants either appeal the ruling or file a new claim. After being denied, you have several options. Most commonly, applicants either appeal the ruling or file a new claim. Call 512-454-4000 for help today. The initial consultation is free. Many Texas residents who are denied Social Security benefits, end up at a hearing where that denial is reviewed. There is understandably much anxiety and stress surrounding these legal hearings. Professionals who work on these cases appreciate that access to proper benefits can significantly alter the lives of applicants. 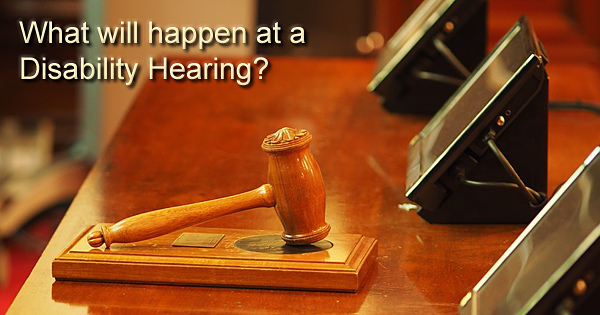 So what can you expect to happen during a hearing for Social Security disability benefits? Generally, as discussed on the Social Security Administration website, these appeals are held in front of an administrative law judge (ALJ). A clerk in the ALJ’s office will contact you to set up a hearing date, on which you will be able to submit updated medical records to establish that you are, in fact, disabled and entitled to disability benefits. Because the applicant lost originally, the burden to prove disabled status rests with the applicant on appeal. To meet this burden, the applicant will often need to submit additional or more specific proof than was submitted in the original application. The hearing, while technically neutral, is often more adversarial than it may seem. This is because the ALJ may choose to bring in a “Vocational Expert” to assess an applicant’s ability to return to work. While the vocational expert is employed by the ALJ, often the expert stands in opposition to the applicant’s claim, arguing that the applicant can perform the essential functions of certain jobs. The effect of the vocational expert’s testimony, if adopted by the judge, might lead to another denial. Applicants are given the opportunity to cross examine the vocational expert. This is best done by a licensed attorney experienced in disability and Social Security matters. Cross examination gives applicants a chance to expose any weakness in the expert’s assessment of the applicant. Sometimes the expert’s assessments are very generic and actually tell the ALJ little about the applicant’s ability to return to work. Through effective cross examination, a lawyer can lessen the likelihood an ALJ will adopt the potentially harmful and incorrect assessments of the vocational expert. If you have been denied disability don’t give up! Most are initially. Contact a Social Security disability attorney at 512-454-4000 for a free consultation and see if you can appeal the ruling and win your deserved disability benefits. If you have been denied Social Security disability benefits and are thinking about filing an appeal of the judgment, your best bet is to hire an experienced attorney to assist you with the process. Aside from effectively being able to cross examine any vocational experts brought in to assess your status, an experienced attorney can help you navigate the often confusing and lengthy process, helping you avoid the common pitfalls that may lead to the delay or denial of your claim. 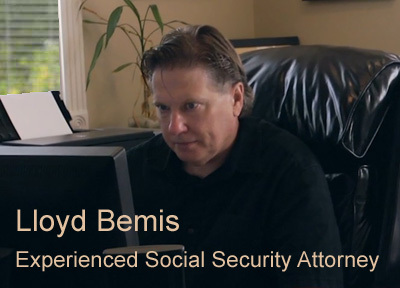 If you are seeking disability and have been denied on your initial application, contact the SSD lawyers at the Law Office Bemis, Roach, and Reed. We have years of experiences helping residents in Austin and throughout Texas on these very issues. Call 512-454-4000 and get help NOW.